10th December 2009. Farewell to 2009, Christmas Shopping News, Changes to ExplorOz Postage, ExplorOz featured in TV Show, and 2 New Treks - Moralana Scenic Drive and Tjukayirla Caves. This is our final newsletter for the year. Our office will be closed Wednesday 23rd Decemember through to the New Year, reopening Monday 4th January so we take this opportunity to send our wishes for a very Merry Christmas and Happy New Year to all our registered Visitors and Members. Can we also encourage you to find time to relax and contemplate, for Christmas is not a time, but a state of mind. Use your holiday break, no matter how short, to refresh your spirit - find new inspiration and happiness for 2010. For those that missed it, there was an interesing Forum Post a few days back discussing the 2009 Year on ExplorOz titled - The Good, Bad and the Ugly. Oh, and have you noticed the new-look Home Page? As usual, its a work in progress and by mid next week it will be a major change. An exciting new DVD To the Top of Down Under has just arrived in the shop featuring challenging 4WDriving and stunning locations, all for only $24.95! For a great last minute Christmas Gift, you can't go past the Crocodile Safari Man Book by Keith Adams which is now available for a limited time at the very low price of only $9.95 (usually $25.95). For more bargains, go to the Christmas Specials category. Don't forget, if you’re looking for the most up to date information about shop products, read the ExplorOz Online Shop Blog with all the behind the scenes information. Travel with Penny and the DiscoverOz crew to the Top of Down Under. Starting in Cairns and travelling all the way to the to highest point of the Cape York Peninsula, jump on board for a white knuckle ride, from fishing, gold fossicking and snake wrangling, to crossing croc infested creeks. Pitting driver and vehicle (as well as a couple of trailers) against some of Australia's most challenging terrain, re-live one of the ultimate 4WD experiences in the extremely popular and challenging Cape York.Click to find out more. Due to the majority of our customers choosing Express Post for parcel delivery (2-3 days delivery Australia wide) we've changed the default on the shopping cart to show this option first, however buyers may still change this to Standard if preferred. This also means the Member Benefit of FREE POSTAGE (for qualifying orders) will now be for Express Post rather than Standard. 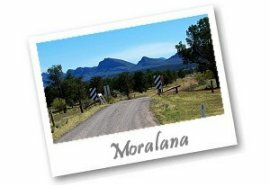 We've recently added 2 new trek notes to ExplorOz, thanks to detailed field research from Member - Stephen L. The Moralana Scenic Drive connects the main Hawker - Wilpena and Hawker - Parachilna Roads via a good dirt road that offers stunning scenery and features including Wilpena Pound Range, Bunbinyunna Range, Black Gap Lookout, Elder Range and the historic Old Cueing Yards. Click here to view the new trek. 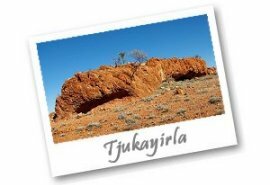 Tucked behind the Tjukayirla Roadhouse is a series of recently discovered Aboriginal Art Site Caves in the Great Victoria Desert. Until recently, these Aboriginal Art Caves were unknown to the local people of the area, including the Traditional Custodians. These caves range from 5000 to over 8000 years old. Permission must be sought through the Tjukayirla Roadhouse however there is no fee and you'll also get a handy mud map. Click here for the new trek. Series 2 of the Pat Callinan 4x4 Adventures Show commenced airing on One-HD this week with each episode airing 3 times a week nationally (check your local guide). For those that enjoy spotting viral marketing, see if you can find all the references to ExplorOz in each episode... can you spot an ExplorOz sandflag? what about a clever sticker placement? As a sponsor of the Competition it's a bit more obvious to see our logo in this part of the show as they list all the prizes, and on their website you'll see exactly what we're offering in the prize draw. At the closure of every episode viewers will also hear Pat's personal recommendation for ExplorOz for trek notes as we cover every destination featured in the show. Programs like this are great for growing our industry being aimed at families and newbies with loads of positive encouragement to venture further than the local shopping centre. Tell your friends to tune in and find out why you love 4WDing so much. Purchase and activate your new SPOT satellite messenger from the 1/12/09 and you will be entitled to a $25 Rebate with 12 months free tracking* valued at $49.99USD. HURRY OFFER ENDS 31/12/09 -full offer details. Offer only available from authorised retailers, see full list here. SPOT is a handheld GPS satellite messenger which pinpoints your location. SPOT allows you to send a message confirming you are ‘OK’ to family and colleagues and/or send a message to alert rescue services in an emergency all with the simple push of a button. SPOT is the perfect gift this Christmas. *Conditions apply. Microlon is a one-time metal treatment that permanently reduces friction in engines, gear boxes, diff’s, etc. WiiCamp provides camper trailer hire services to the Brisbane region including western Brisbane and Ipswich. Independent Trailers provides off-road camper sales and hire in the ACT and the southern highlands of NSW. Skytrek Willow Springs Station offers the Flinders Ranges’ most popular and exhilarating 4WD journey.